When we were asked to support AJ’s Kids Crane this year, there was literally no discussion. 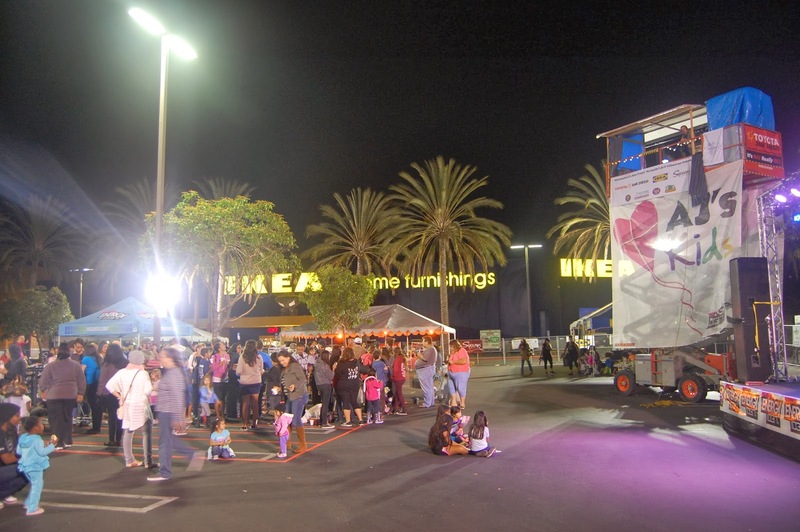 Of course we would love to participate in this annual event where a local radio DJ (AJ Machado of Energy 103.7FM) literally lives atop a crane in the Ikea parking lot in San Diego for an entire week. The event is held each year to support Rady Children’s Hospital San Diego. Naturally, we were even more excited when they announced we’d be the backing band for a karaoke competition. As if that wasn’t enough, they also let us know that there would be several of San Diego’s finest food trucks in attendance that evening as well. Heaven. If you weren’t able to join us, you totally missed out. The winner of the karaoke competition took home a sweeeeeet Sony 4K TV for being the best singer. See? It pays to be a ROK fan, so thanks to those of you who came out to participate! Be sure to tag us in your online photos + videos if you were there! One Response to "ROK Supports AJ’s Kids Crane"